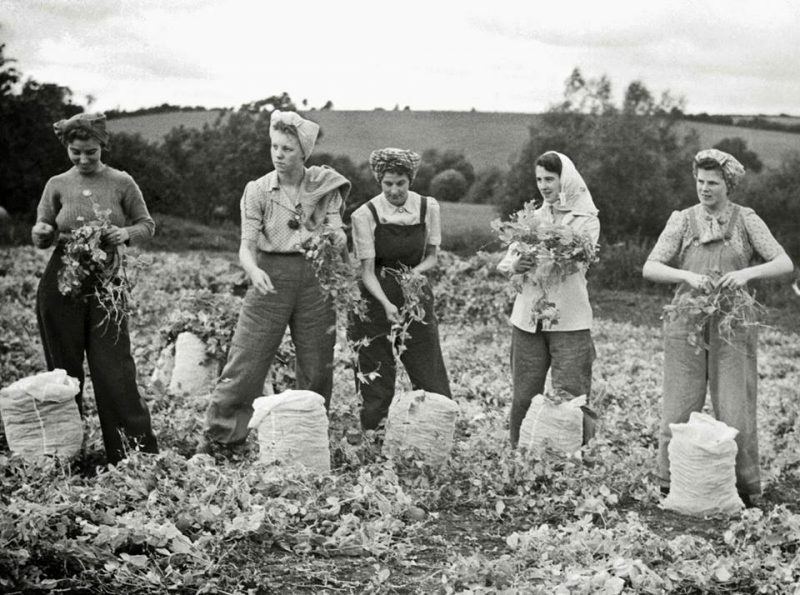 While men went fighting other men in the Second World War, someone had to take care of the land, and that is when women stood up and took things in their own hands. It’s a well-known fact that women got their fair share in replacing men during WWII. 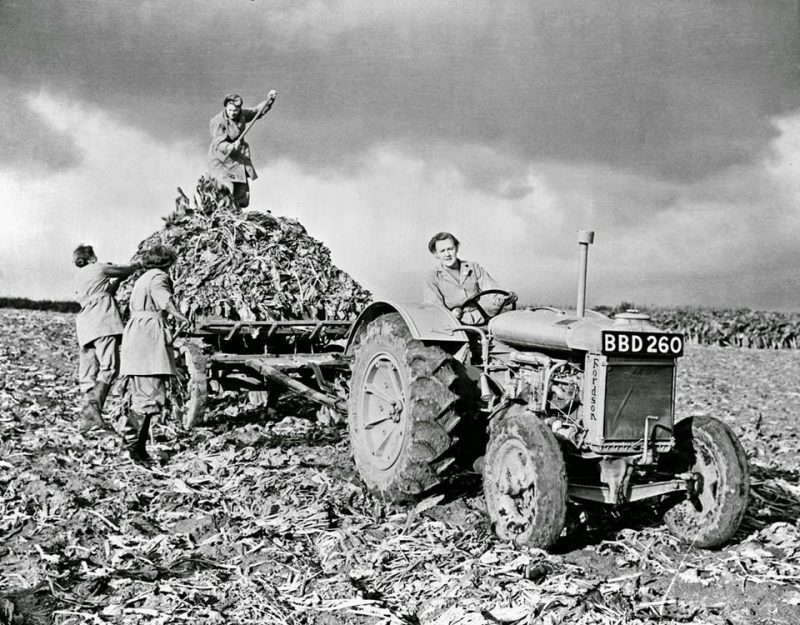 The Women’s Land Army was a British civilian organisation created during the First and Second World Wars to work in agriculture replacing men called up to the military. 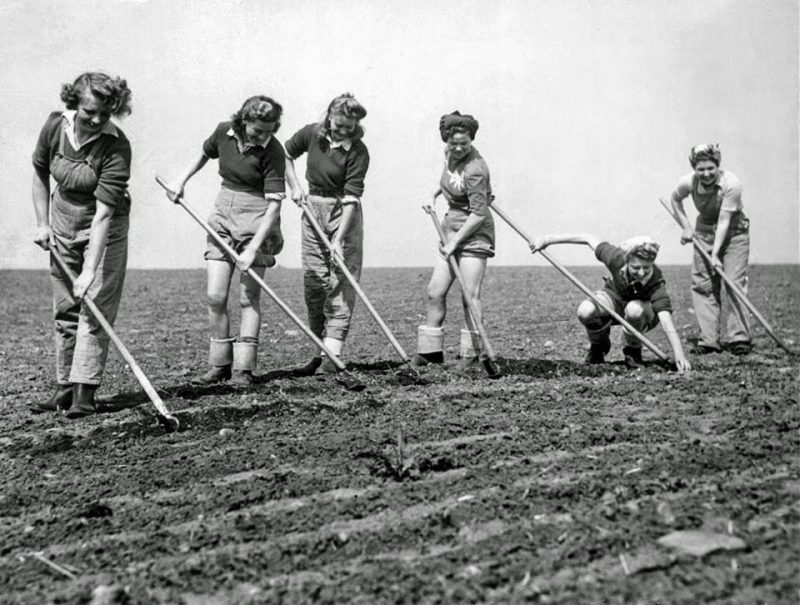 Women who worked for the WLA were commonly known as Land Girls. 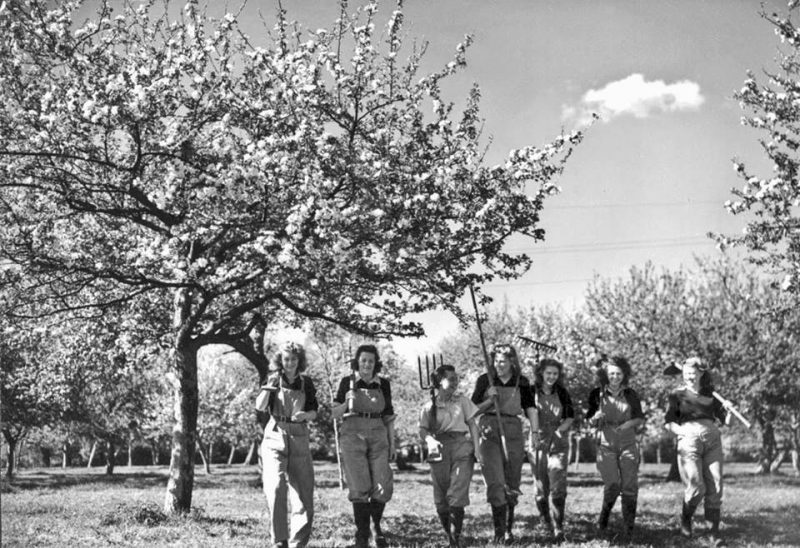 The name Women’s Land Army was also used in the United States for an organisation formerly called the Woman’s Land Army of America. 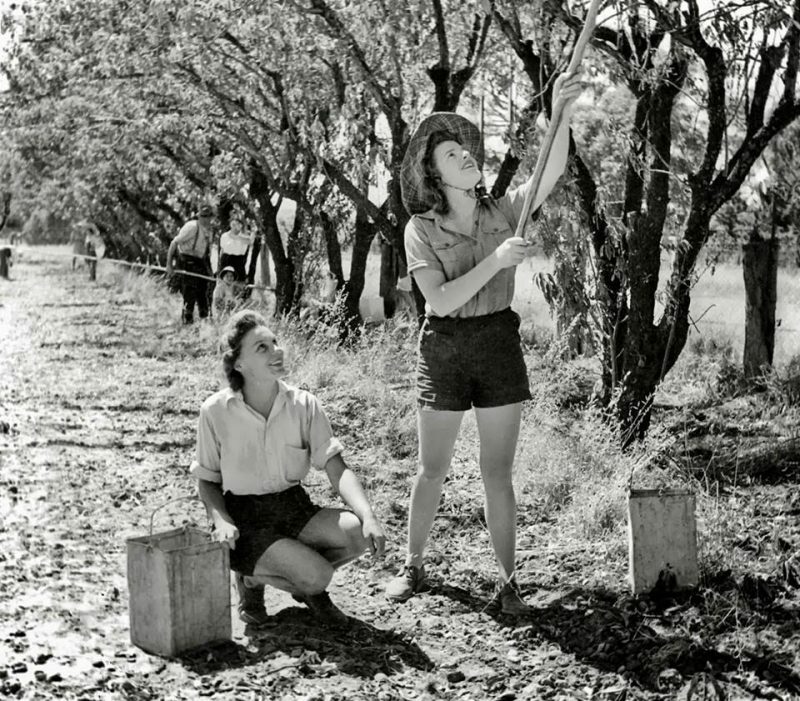 These are all photos of World War II land girls, mostly in England, a few in Australia. Women’s Timber Corps (WTC) were the women who worked the forests and better known as Lumber Jills. 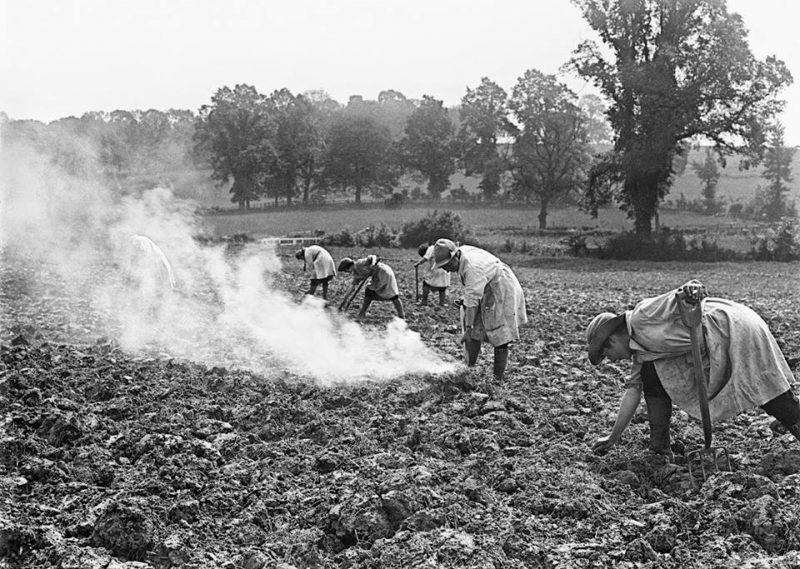 The Board of Agriculture organised the Land Army during the Great War, starting activities in 1915. 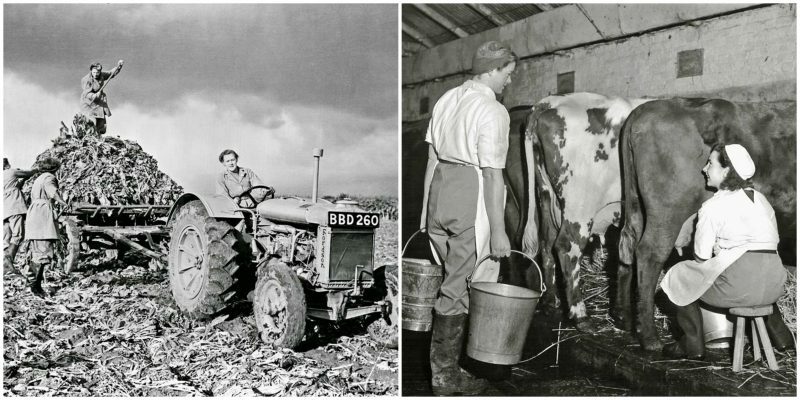 Towards the end of 1917, there were over 250,000 – 260,000 women working as farm labourers, with 23,000 in the Land Army itself, doing chores such as milking cows and picking fruit. With 3 million men away to fight in the First World War Britain was struggling for labour. The government wanted women to get more involved in the production of food and do their part to support the war effort. 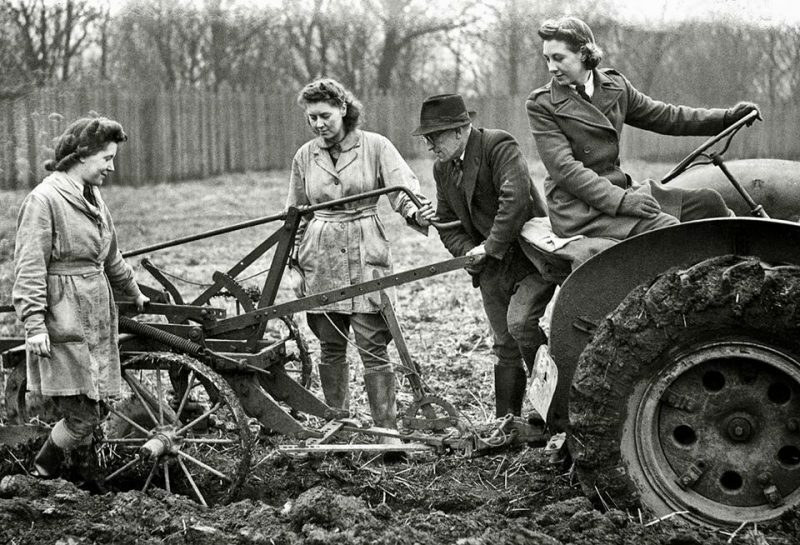 This was the beginning of the Women’s Land Army. 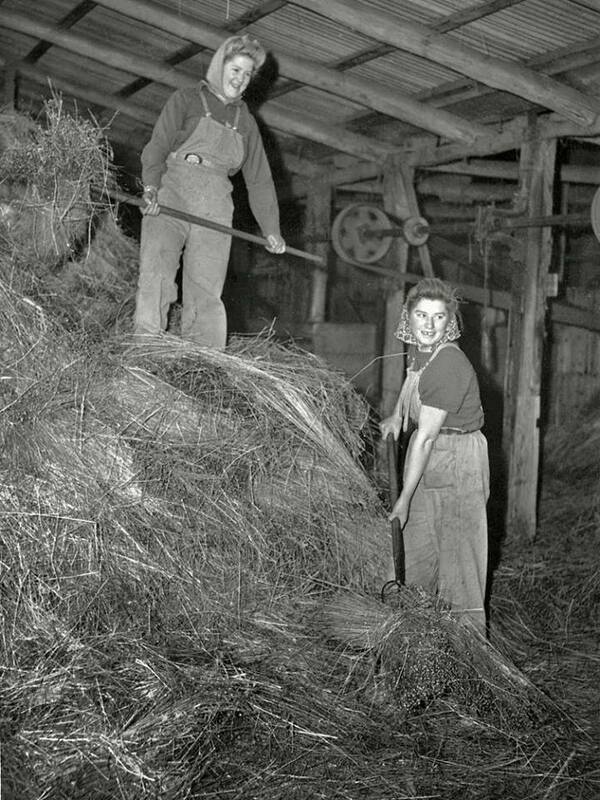 Many traditional farmers were against this so the board of trade sent agricultural organisers to speak with farmers to encourage them to accept women’s work on the farms. One goal was to attract middle-class women who would act as models for patriotic engagement in nontraditional duties. 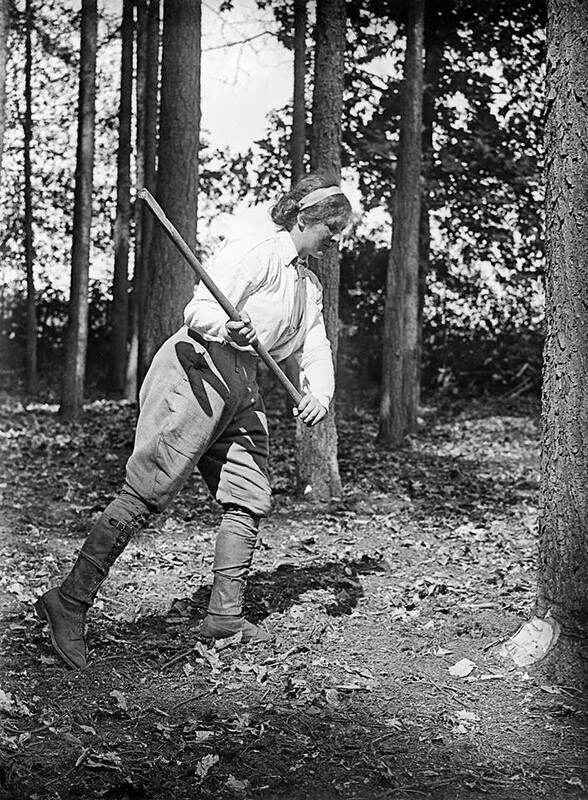 However, the uniform of the Women’s Land Army included trousers, which many at the time considered cross-dressing. The government responded with rhetoric that explicitly feminised the new roles.